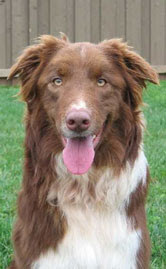 Hunter, a certified and trained Search and Rescue Dog, is a red and white border collie that was born on a horse farm on New Year's Eve in 2002. Although both his parents were black and white borders, he inherited his coloring from his grandfather, who was also red and white. As a puppy, Hunter lived with Patricia Baldwin, who loved him dearly in spite of his tendency to chew anything and everything in sight. 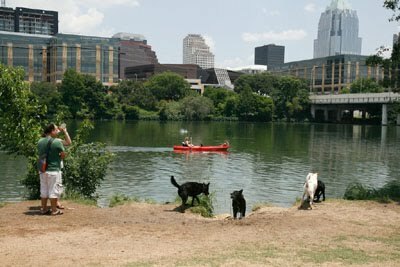 Patricia would take Hunter to a dog park to give him additional exercise. When he grew larger, Hunter followed his ancestral instincts and began herding the other dogs at the park, showing them that he was "Chief Canine-in-Charge." Unfortunately, Patricia had to find a new home for Hunter when he was seven months old.